Welcome to our guide to learning French. Whether you're living in France or just visiting, there are articles covering vital phrases to get you through your time there and glossaries of French technical terms. If you want to learn French seriously then browse our directory of French language services and find a course to suit you. 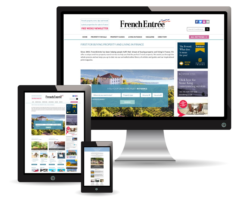 View all our articles on the French language near the bottom of the page if you can't find what you're looking for in this section. If you're travelling to France and need to know some key French phases you should check out these articles and more below. Find articles here about the French language and other useful pieces of information on learning French. If you're moving to France or living there already you'll need to be aware of some technical terms to help you in certain situations. Serious about learning French? Browse our language schools directory or read about French courses and apps. Nothing typifies France more than the fabulous cuisine and the romantic sound of the language. So, we thought why not combine the two? As our happy clients will testify we aim to provide you with fantastic immersion French courses that also give you the opportunity to take away the art of French cuisine. To Vouvoyer or to Tutoyer?